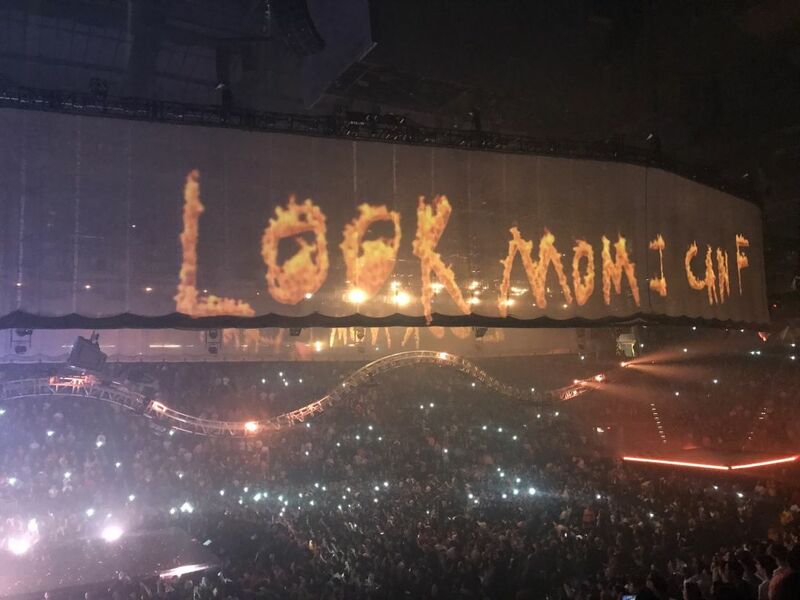 Well, he didn’t bring Drake out, but Travis Scott was joined by a surprise guest on his hometown tour stop at the Toyota Center last night. Just before he closed out the show (with a rowsing, albeit Drake-less, rendition of “Sicko Mode,” obviously), the Missouri City native brought out none other than...wait, is that guy wearing a suit? Is it...Mayor Turner? Yup. 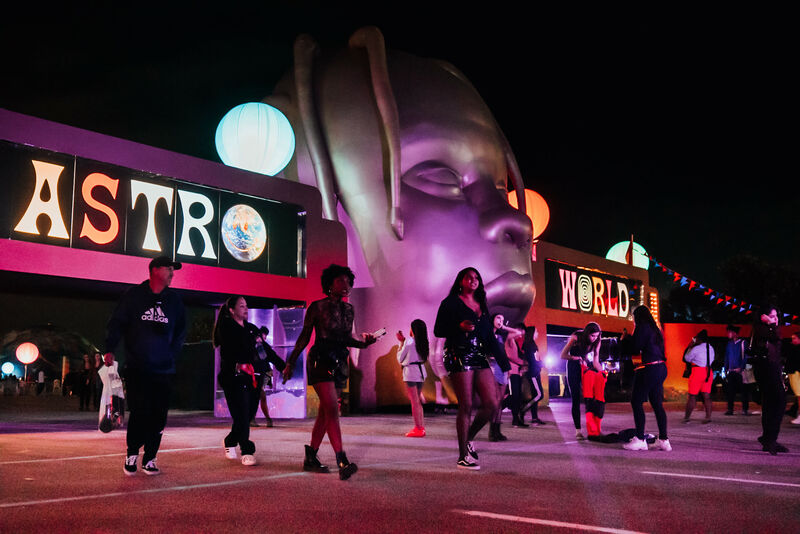 And while the 64-year-old civil servant might not have been the celebrity appearance the rowdy crowd was hoping for, you’d never know it from their ecstatic reaction when he vaguely announced plans for what we hope will be a new AstroWorld and presented La Flame with a key to the city (before reminding everyone to vote). As if that weren’t abundantly clear. 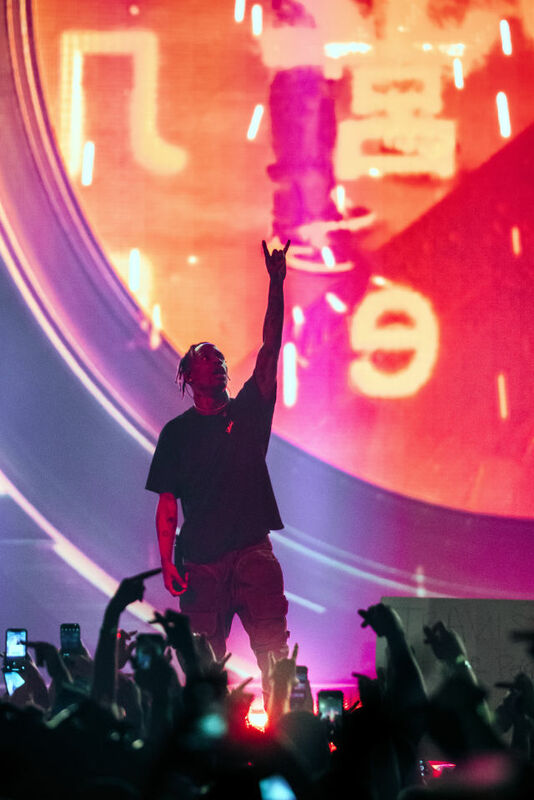 For one, it felt like the entire metropolis turned out for the sold-out show, from kids in braces and James Harden jerseys to dads who knew every word to “Goosebumps.” Near-endless lines snaked around the venue (and that giant, gold, inflatable Travis Scott head, back once again and parked at the Toyota Center entrance) for hours before the show. 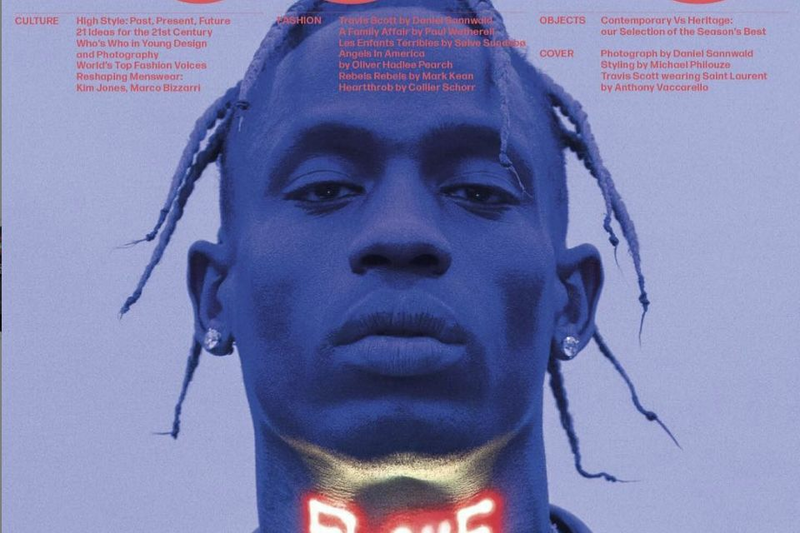 Once they got inside, the whole place was electric for an hour and a half as Scott ran through his repertoire, from Days Before Rodeo joints (the hazy, dreamy “Drugs You Should Try It” was a standout of the night) to, of course, nearly everything off Astroworld, sprinkling in portions of features (SZA’s “Love Galore,” Kodak Black’s “ZEZE”) to the crowd’s delight. 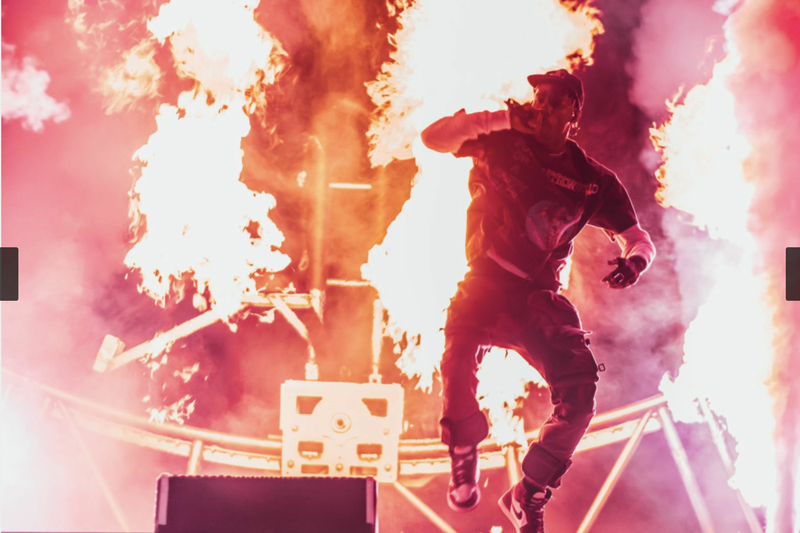 The air was thick with smoke from on-stage pyrotechnics and an indeterminate amount of Juul pods in the stands. 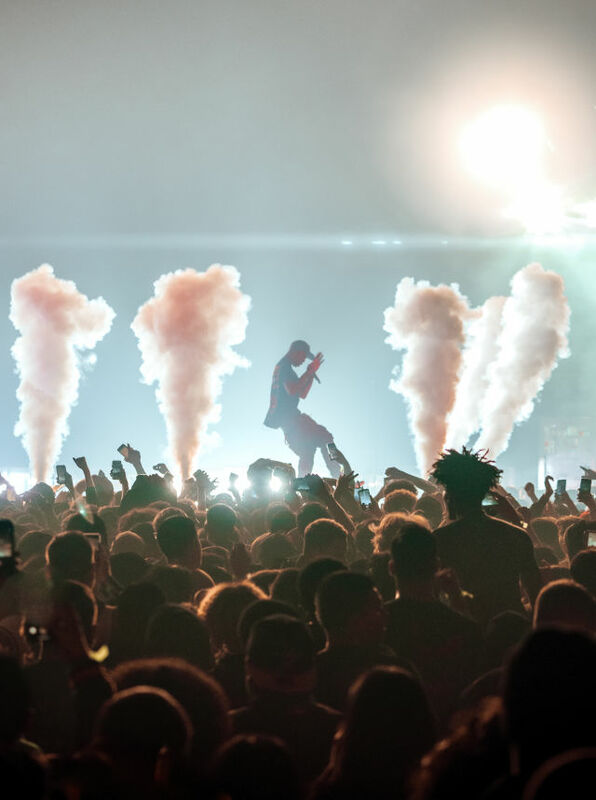 Much like the rapper’s discography, the mood of his show oscillated between smoky, auto-tuned trippiness and full, club-banger turn-up, like a drug that can’t decide if it’s a downer or an upper—and the lows are just as good as the highs. 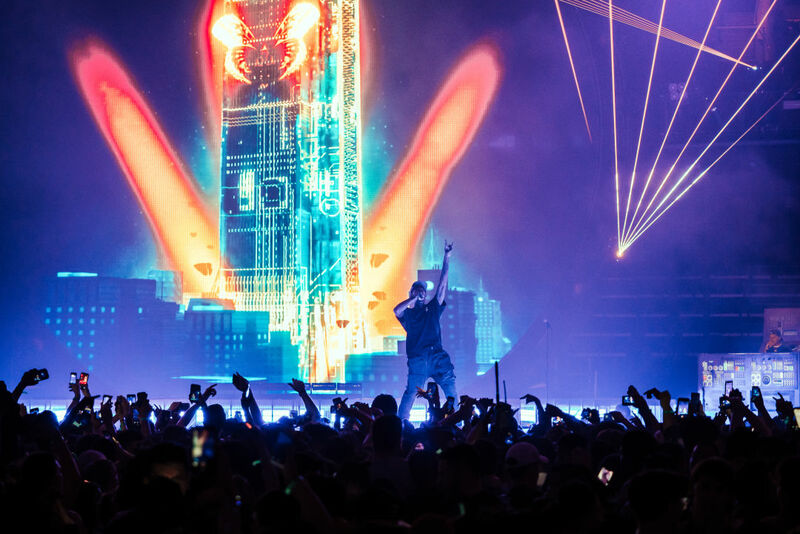 At times, bathed in blue and green light, he’d extemporize—”I was down, I was down, I was down in the H-Town, I was surrounded by love”—and then flip the switch, instructing the crowd to open up a pit as flames burst from the stage each time DJ Chase B dropped a beat. Perhaps the best moments of the night, though, were the briefly quiet ones, when the lights would shine on the thrashing crowd and the live camera revealed Scott just standing there, breathing, shaking his head, taking it all in. His disposition was one of pure gratitude, and maybe even a little disbelief. It was the exact moment of realization. Private jets, Super Bowl halftime shows, billionaire girlfriends, sold-out stadiums, Grammy red carpets—they’re all in a day’s work, until you come home. “F*** the money, never leave your people behind,” Scott says in “Stop Trying to Be God,” and he means it. Sometimes, to see how far you’ve come, you have to go back to where you started.